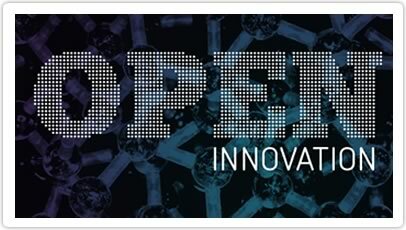 Open innovation defines the innovation process for customers or other organizations. The goal is for the presentation to do justice to the customer’s offers or marketing objects. In addition, it supplements the processes managed by companies, as a good alternative that enables consumer participation. clickworker offers several solutions. We will find a suitable solution for your company! Open innovation and crowdsourcing are linked because crowdsourcing customers are recruited on the Internet and their tasks are performed on the Internet. This benefits both parties: customers, who provide the community with tasks and payment for the work save money in the process. At the same time, individuals in the community handle the customer’s assignment that is divided into numerous small individual tasks. Therefore every participant can earn their own money and help the customer with their work. Expensive employees do not need to be hired to deal with the large workload. Henry Chesbrough coined the term in the 20th century. Chesbrough wrote several books about the topic, including ” The New Imperative for Creating and Profiting from Technology.” Today he works at Berkeley University in California. The system is viewed as a change or the rebirth of innovation. It strikes new production development paths. This process is prospering in particular as a result of the increasing popularity of the Internet in the last few years. Automobile manufacturers trust in the participation of Internet users to share and discuss their concepts and ideas with others in forums. Outstanding proposals that can be put into practice help the automobile sector developers create new and exclusive features and new systems. In this example the participation of the community is decisive and breaks new ground. Other examples are the corporations that are pressured to create new designs or improve faulty products. The individual thoughts of the members of the community are asked for here too. Every individual introduces different ideas thus creating a large selection of innovations. This concept always works according to the same model and lives from the community that delivers sensible suggestions or solution approaches.